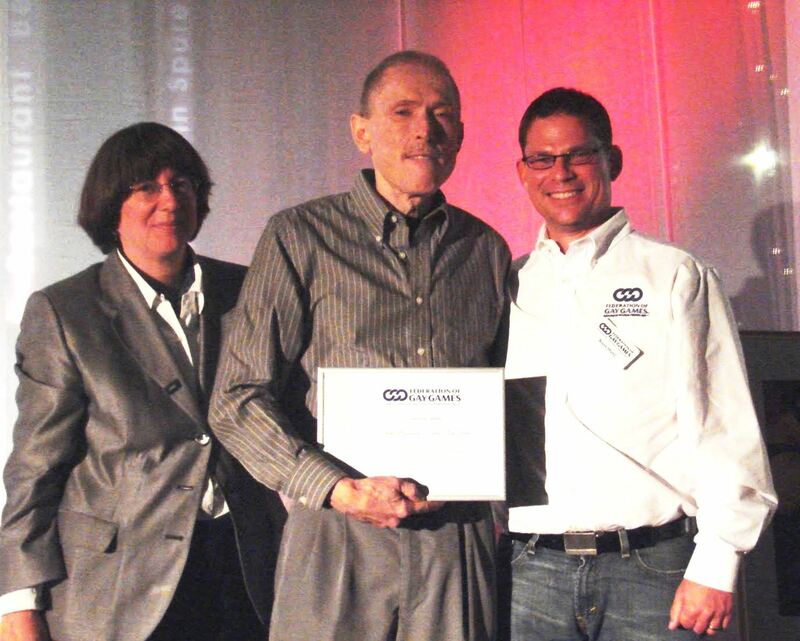 The Federation of Gay Games has instituted Legacy Awards as a way to honor outstanding individuals and institutions whose work contributes to the mission and values of the Federation of Gay Games. 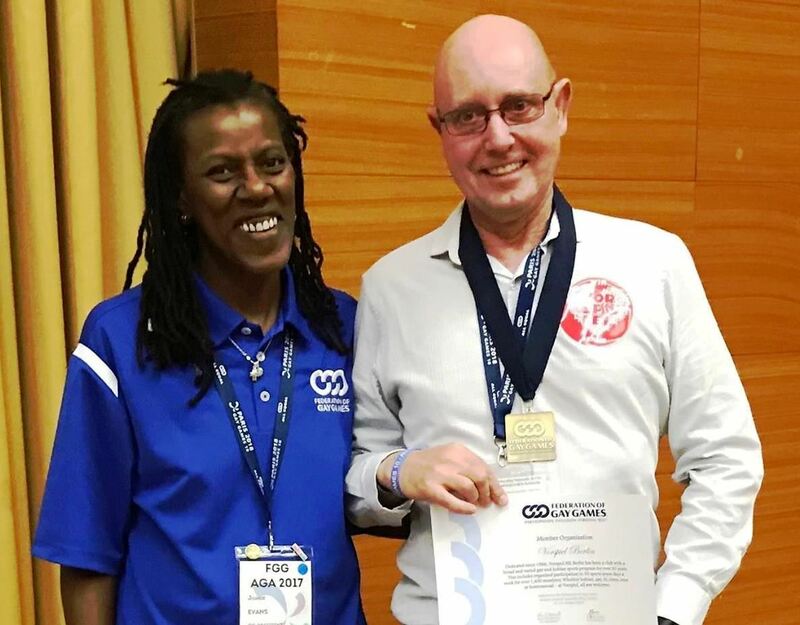 They are awarded at the discretion of the FGG to recognize the extraordinary contributions of those who help ensure the success of the Gay Games, who promote the shared values of participation, inclusion and personal best, and who notably contribute to the LGBT+ community. 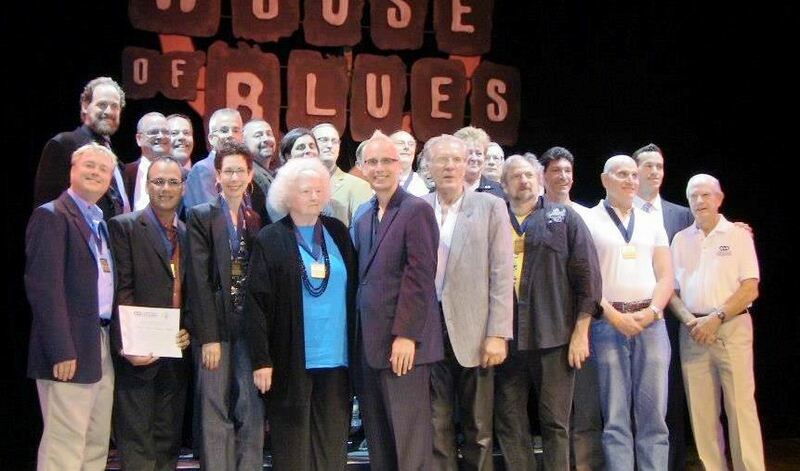 The initial FGG Legacy Awards were given in 2007 at the FGG 25th Anniversary Legacy Dinner in San Francisco. Since 2009, these awards have been presented annually and those honored receive a certificate and an FGG Medal of Honor. 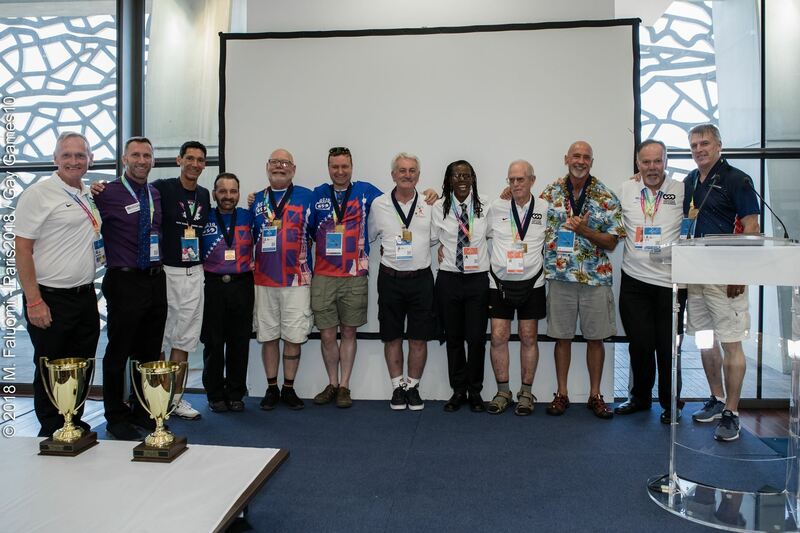 The Federation of Gay Games presented Medals of Honor to all those athletes and cultural participants who have attended all ten Gay Games since 1982. 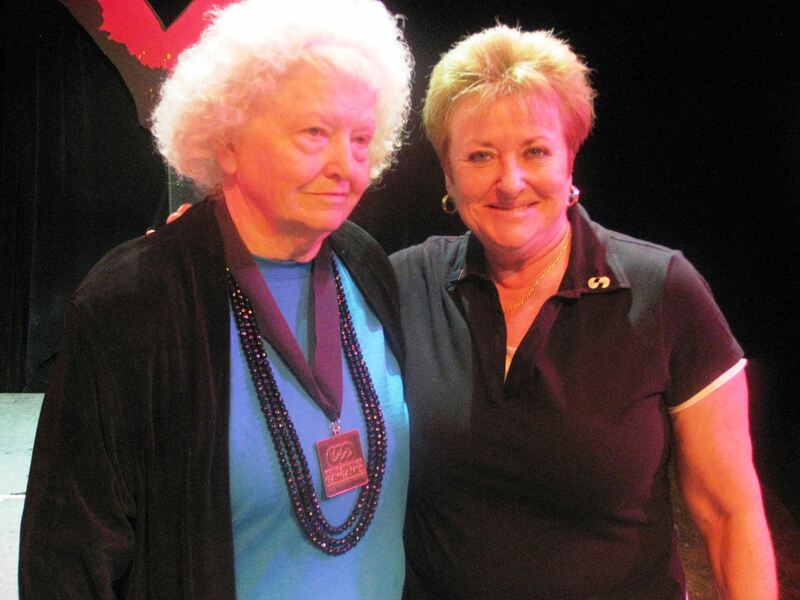 These individuals are truly "living legends" within the Gay Games movement. Left to right: Eddie Young, FGG Officer of Ceremonies; Sean Fitzgerald, FGG Co-President; Mauro Bordovsky; Gene Dermody; Duane Flohra; Jim Hahn; Tom Lane; Joanie Evans, FGG Co-President; Derek Liecty; Mike Wallace; Doug Litwin, FGG Officer of Marketing; Steve Harrington. 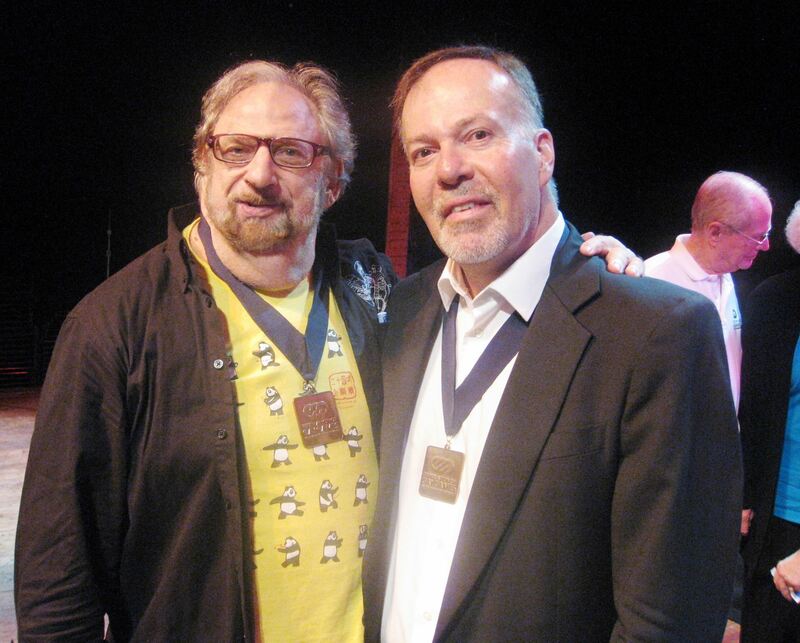 In Paris but not present at this ceremony: Seth Shapiro; Rick Thoman. Ivan Yap (Kuala Lumpur, Malaysia), lead organiser of the Straits Games, a multisport festival in southeast Asia celebrating its 15th anniversary. 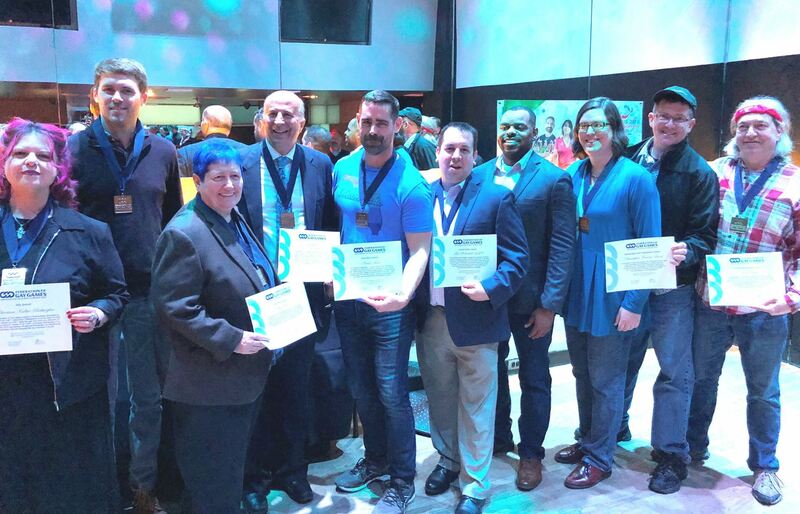 As part of the FGG’s Tribute to Bidders, the five groups bidding to host Gay Games X were honored with a medal of honor which include the Amsterdam, Limerick, London, Orlando and Paris bid teams. In addition, medals were presented to the volunteer members of the FGG site inspection team who visited the three finalist cities in July 2013: Rob Lavery, Keph Senett, Annette Wachter, and Cyd Zeigler. Dave Kopay, American football player in the National Football League from 1964 to 1972 and the first professional athlete in the world to speak publicly about being gay, for opening doors for amateur and professional athletes everywhere. Dave has taken part in two Gay Games and is a Gay Games Ambassador. For its work to combat homophobia and promote equality in Europe through sport programs. For its ongoing legal work in the U.S. challenging discriminatory practices in a variety of athletic programs. NCLR Sports Project Director Helen Carroll accepted the award from figure skaters Alan Lessik and Johnny Manzon-Santos, who NCLR successfully represented in a discrimination case against the East Bay Iceland skating rink in Berkeley, California. For his groundbreaking coverage of news related to LGBT sport programs. 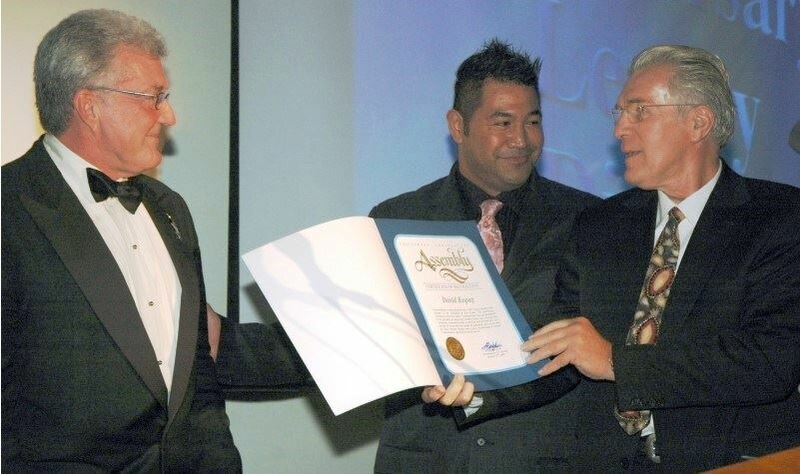 Gold medal winning Olympic swimmer and Gay Games Ambassador Bruce Hayes, a public relations professional, presented Jim’s media award.